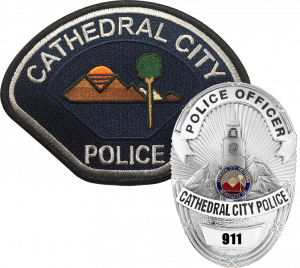 Cathedral City is the 10th largest city in Riverside County California. We are a business and resort community located 110 miles east of Los Angeles and 115 miles northeast of San Diego. Sharing a border with Palm Springs, and incorporated in 1981, the city has a permanent population of over 54,000 and is one of the fastest growing areas in the country. An ideal climate of 350 sunny days per year, clean air, scenic beauty, and unlimited leisure activities attract an additional 10,000 residents during the winter months. Approximately 155 city employees provide a full range of municipal services including Police, Fire, Housing, Planning, Public Works, and Street Maintenance.